How many economic development incentives does Michigan need to compete for jobs and business investment? Soon after taking office in 2011, Snyder replaced the state’s signature, 16-year-old Michigan Economic Growth Authority – or MEGA -- business tax credit program with a deal-closing fund that can spend as much as $100 million in the current fiscal year. The Michigan Business Development Program gives qualifying companies upfront cash for making new investments and adding jobs in Michigan. It spends far less than MEGA, which during Gov. Jennifer Granholm’s eight years in office approved $7.3 billion in business tax credits to 515 companies. That’s an average of more than $900 million a year. Through Nov. 9, the Michigan Business Development Program had awarded $37.1 million in grants to 45 companies that expect to create 5,593 jobs. Michigan spent $2.055 billion on incentives in 2009 and budgeted $122 million this year, a state-sponsored study found. That's just 5.9 percent of what the state spent in 2009. Jeff Finkle, president of the International Economic Development Council in Washington, D.C., said it’s hard to determine the optimal number of economic development incentives. He said it “may be too early to tell” whether Snyder’s approach of eliminating long-term tax incentives, while focusing on closing deals and help small businesses grow will pay off with more jobs and investment. But Ron Pollina, a Chicago-based economic development consultant, says Michigan is falling behind in the race for business investment and jobs. Pollina, who publishes an annual ranking of top 10 “pro-business states,” ranked Michigan 39th this year, down from 29th in 2011. The top 10 states this year are, in order: Utah, Virginia, Wyoming, North Dakota, Indiana, Nebraska, South Dakota, Kansas, Missouri and Oklahoma. Those states combine a favorable tax and regulatory climate with incentives that are clear, easy to apply for and are quickly acted upon, Pollina said. All of those states have lower unemployment rates than Michigan. And Michigan lagged all but three — Utah, Indiana and Mississippi -- in per capita income in 2011. 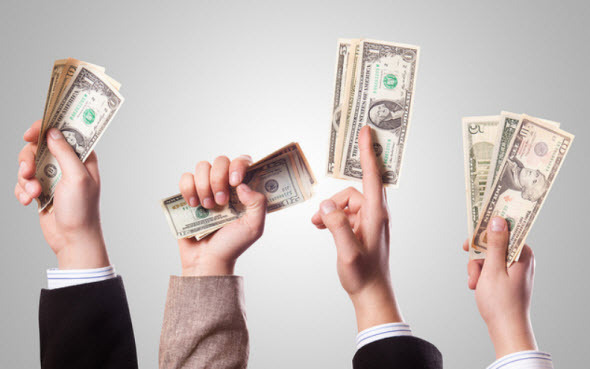 The April study by Angelou Economics in Austin, Texas, noted that cash incentives in Michigan Business Development Program respond to the trend of companies seeking upfront cash from states instead of longer-term tax breaks. “These incentives garner heightened interest from many corporate clients, especially in these challenging economic times, when cost containment and initial start-up costs are of primary concern,” the study said. It also cited Michigan’s new 6 percent corporate income tax, which gave businesses a $1.7 billion tax cut, as a “broad incentive” that is likely to add jobs and business investment. The study found the MEGA program attracted more jobs than any other incentive program in the country. But the effectiveness of MEGA and other state incentives under Granholm was offset by the state’s higher tax rates, according to the Angelou Economics study. “With these two forces at odds with one another, MEDC, though perhaps armed with a larger set of incentives tools, found its efforts undermined by a less competitive tax environment,” the study said. Another study commissioned by the MEDC in 2010, near the end of Granholm’s years in office found the state’s economic competitiveness “declined significantly” since 2002, despite its aggressive use of tax incentives. The study by SRI International found the state fell from the 9th most competitive state in the country in 2002 to 29th in 2010. SRI International ranked states based on seven criteria: human investment, financial resources, innovation resources, infrastructure, business costs, quality of life, and globalization and vitality. Michigan made slight improvements in business costs, university and industry research expenditures, and success in obtaining federal grants to aid small businesses. But it declined in the other competitiveness measures, according to the SRI International study. Granholm stepped up incentives in response to a frightening, decade-long decline among Michigan’s automakers, which had been driving the state’s economy for a century. Snyder faced a different environment upon taking office in 2011. The automakers were churning out billions of dollars in profits again and employers were beginning to hire, albeit slowly. The new governor’s strategy was to dial down tax incentives while attacking business climate issues, including taxation and regulations -- moves that have been supported by much of the business community. Michigan made the second-largest improvement among the states this year in the Tax Foundation’s annual business tax climate ranking, jumping from 18th to 12th place. Replacing the complex Michigan Business Tax with a 6 percent corporate income tax pushed its corporate income tax component of the broader ranking from 49th to 7th best in the country, according to the Tax Foundation. But since taking office, Snyder also has created about a dozen incentive programs mostly aimed at small businesses and entrepreneurs. Those programs are authorized to spend more than $50 million to commercialize technology at universities, help companies obtain financing and provide business services. Much of the money comes from the 21st Century Jobs Fund. And the Snyder administration hasn’t abandoned tax incentives. Last year, it created the Small Business Investment Tax Credit, which offers “angel” investors in businesses a 25 percent credit on their personal income taxes. The program is capped at $9 million. And companies with existing MEGA credits can continue to collect them by paying the old Michigan Business Tax instead of the new corporate income tax. General Motors Co. recently was approved for an expansion of its MEGA credits from a maximum of 30,000 retained jobs to 33,000 jobs. The automaker’s business tax credits are worth more than $1 billion. It is unknown what impact GM’s MEGA credits have on its state business income tax liability because the information is confidential. Pollina, who authored a 2010 report for the MEDC on how it could improve incentive programs, said Michigan should offer more powerful programs to compete with other states. Among his recommendations to the MEDC were to act faster on incentive requests from businesses and promote right to work, which outlaws labor contracts that require workers to pay union dues. Pollina said Michigan might be able to blunt some of the controversy surrounding right to work if it were to allow local communities to create right-to-work zones. The zones would be similar to Michigan’s tax-free Renaissance Zones, a program that Snyder has downsized. Neither the Granholm nor the Snyder administrations acted on that recommendation. There has been a long-running controversy over whether economic development incentives do much to help job growth, regardless of how well they are crafted. But every state has some kind of an economic development program, at least to try to prevent other states from luring its jobs away. Pollina said there’s a more important reason for a state to have a powerful arsenal of incentives: global competition. The benefits of spending "incentive dollars"--aka taxpayers money--is vastly overrated and exaggerated. There are many documented cases of outright waste, and even some thinly-veiled fraud. Reining in ill-advised spending is a major success of the current administration, partly compensating for the opposite before. If you want a true business incentive, pass Right To Work. Who cares if a consultant points out that NY and CA waste more? There are several prongs to the attack Michigan must take. The most critical test is whether Michigan is planting enough seeds in new “innovation economy” enterprises? The state’s overall tax structure is the most critical factor, but any recent “improvements” will be discounted somewhat because businesses need to see a long term commitment to these reforms before they will trust that they are durable. The second important factor is whether investor dollars, angel, venture capital, state and other monies are flowing efficiently into new research driven enterprises in “make-a-difference” amounts. The government can’t “pick winners,” but it must provide policy and tax structures that incentivize this type of economic activity. Michigan needs to continue to find ways to attract the talent- angels, vc’s, attorneys and accountants who foster and support these efforts. It needs to place itself in the “innovation” business, not the “jobs buying” business. Incentives are a part of this if the goal is clear. Yes, 'Right To Work" Legislation will solve all of Michigan's business problems. After a 1.7 billion dollar tax break, now I think it is necessary to insure that business and industry in Michigan be allowed to pay their employees whatever they wish. Let's create more 'no benefit jobs' in Michigan. Absolute power corrupts absolutely. We need to start with the basic question: Who wants to be a Top 10 state in Mr. Polina's list. It's a race to the bottom. Only 3 of those states are in the top 10 in per capita income, the best measure of prosperity for a state. Two of those, Wyoming and North Dakota, are there due to oil wealth; discount them. The third is Virginia, there due to massive federal spending. Most of the rest are in the bottom half of the nation...Utah is 46th, Indiana 40th, etc. So...why do we want to follow his prescription? There is only one true path to prosperity. Visit www.michiganfuture.org to learn more. But if you look at the states with the highest per capita income, all of them (except the oil states) are among the nation's leaders in college attainment. And giving away the state's limited tax dollars to attract factories that pay $14 an hour is a good way to ensure you don't have the resources to provide the amenities and quality of life that college grads demand. Also worth noting that California and New York are both in the top 15 in per capita income, as well as college attainment. Are we sure that incentives aren't a simple way of politiicans and governmet staff avoiding the way they implement programs and do their jobs. Just like tax incentives they are designed to distort the pratical approach to decision making. And incentive is money to compensate for problems. Much of the incentives have be used to herald new technologies (politicians picking winner) coming to our state rather then trying to make thinks wok better for those who are already here and proven. Maybe its time to look at the business environement and how the State government and laws impact that before we spend millions more for businesses that will fade away just as the headlines do. A good example is our regulations, a core criteria use by the agencies when they write the regulations is that then write in the means to enforce the regulations, they never write in how to measure if the regulation is actually imporving things in the State. A smarter government who write regulations to help business do better and work smarter. It is to bad our Governor never learned that while he was in business. Maybe it is because he just never really care about how to do things smarter. Many may deny this can happen but there are rules on the books that show how it works. We need to decide if Michigan is smiply going to be one of the followers or if it is time to try a different way, start working smarter. What do you think the purpose of Michigan State governement in the support of it citizens? Is it to pay companies to come here or is it to make it so companoes feel they can flurish here because how the government works?